FineLaser Cut: Laser Engraving and Marking Services. and necessary processes in the contemporary jewelry industry. marking and engraving on pendants, necklaces, rings, bracelets, cuffs, earrings, cufflinks, watches and…. Laser engraving can be done on flat and curved surfaces. requirement (label or decorate with unique designs) which lasts longer than traditional engraving. 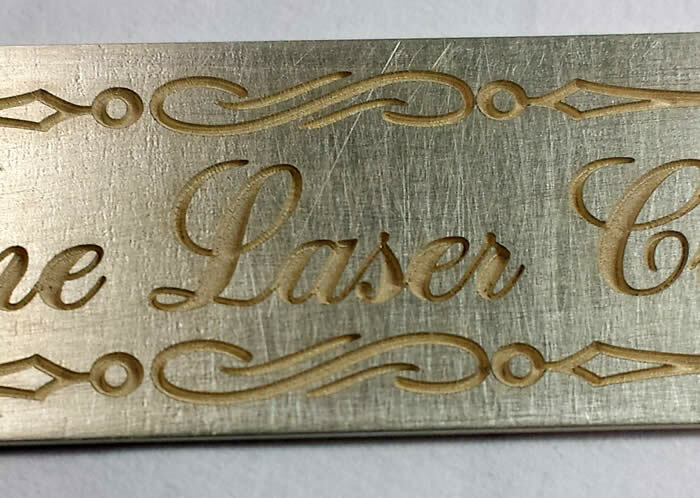 Laser Engraving: The process is similar to mechanical engraving but uses a focused laser beam to remove the surface material to create an image.The maximum engraving depth is typically 0.5 mm in metals. be used on bare, anodized, or plated metal surfaces. precious (gold (all colors), silver (fine, sterling), platinum), brass, nickel silver, copper, aluminum, steel, and alloys. deep engraving can be done on silver, gold, platinum, nickel silver, brass, and aluminum. Laser marking of anodized aluminum, coated and painted metals. For laser marking we can work with .jpeg files, TT fonts, and vector files (.cdr, .ai, .pdf, .dxf, or .dwg). For laser engraving we can work with TT fonts, and vector files (.cdr, .ai, .pdf, .dxf, or .dwg). If you are not able to provide a vector-format file of your parts for laser cutting (.cdr, .ai, .pdf, .dxf, or .dwg file) you can also provide us with a dimention-noted hand-drawn sketch (scan it and e-mail it or bring it to our office) and we will convert it into a computer file compatible with our laser equipment. (charge for file preparation is based on $70 per hour rate with a $15 minimum and depends on intricacy of your design).